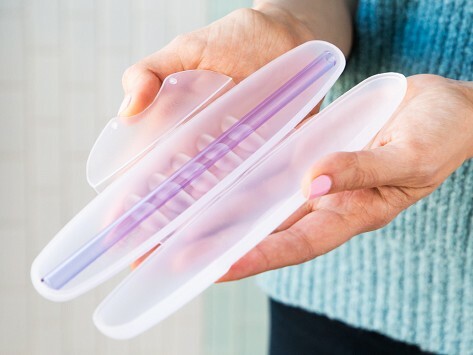 This straw travel case is made to carry a Strawesome glass straw, so you can have one handy wherever you are. Made in the USA and fits an eight-inch straw. Dimensions: 8.4" x 1.5" x 1.2"
The straw is very nice, but the case is a must have. So nice to have a secure case to carry the straw both before & after use. Easy to clean. Great way to carry my new straw! This is a great protection for my environmentally friendly glass straw.